XSG - SnowGem has been in circulation since 10th July, 2017 and runs without being controlled by a reserve bank or single administration. 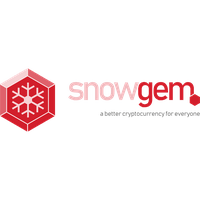 The crypto coin SnowGem can be mined for profit. It utlizes the EquiHash algorithm and the proof of work (pow) consensus. For the latest from SnowGem, you can find them on social network sites, such as Telegram, Facebook, Twitter and Reddit. Visit our full snowgem mining calculator. Beginner's guide on how to buy SnowGem!!! We don't have any price charts listed for SnowGem yet, check back soon!